Long-tailed Ducks and many other species of waterfowl frequent the ocean, bays, inlets, and ponds along he South Jersey coast. 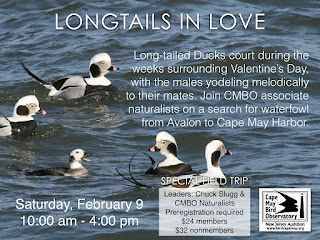 The Long-tailed Ducks court during the weeks surrounding Valentine's Day, with the males yodeling melodically to their mates. 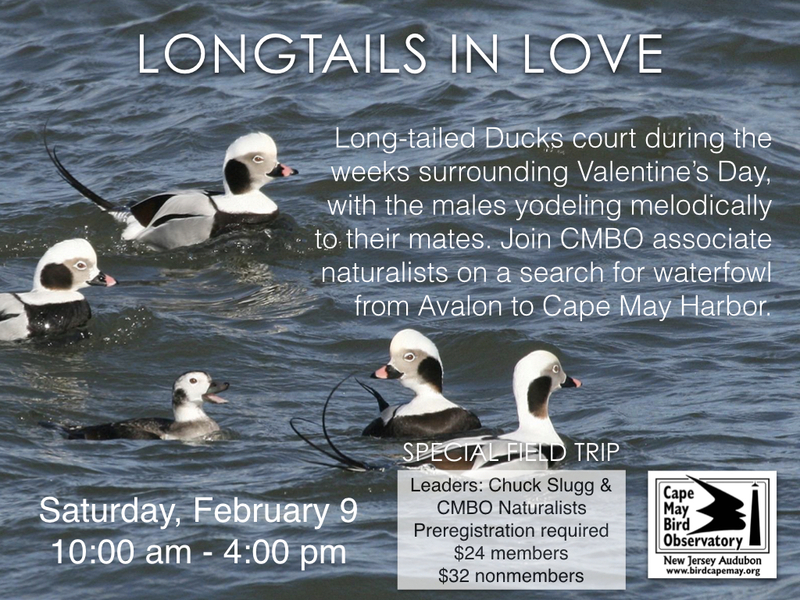 Join Chuck and Mary Jane Slugg and CMBO Naturalists on this exciting CMBO Special Field Trip to search for eiders, scoters and other waterfowl from Avalon to Cape May Harbor. Along the way, you may encounter other winter specialties, including Purple Sandpiper. Preregistration required.